1. After installing the plugin, go to Leaky Paywall > MailChimp in your WordPress admin. 2. Enter your license key and click “Save Settings” to receive automatic updates. 3. 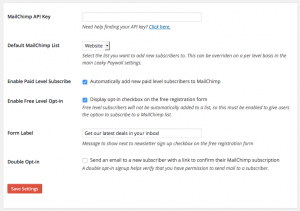 Enter your MailChimp API key and click “Save Settings”. If you need help finding your API key, click here. 4. 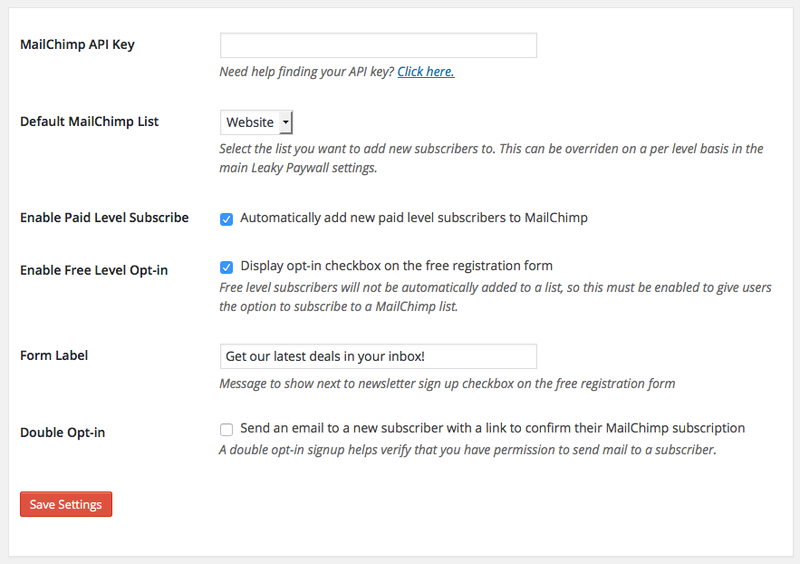 After entering a valid MailChimp API key, the Default MailChimp List setting will populate with all the lists in your MailChimp account. Select the list you would like to add new subscribers to. You have the option to override this default list on a per level basis. 6. To add new subscribers to a different list depending on what level they subscribe to, go to Leaky Paywall > Settings. 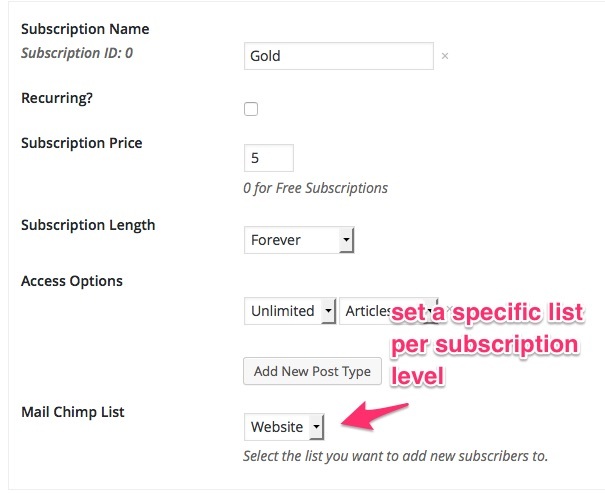 Scroll to the Subscription Levels section and edit the MailChimp List setting for each level to select a different list than the default list. 7. If you are using a free subscription level on your site, checking the Enable Opt-in checkbox will display an opt-in checkbox on your free registration form. 8. You can adjust the opt-in text that the user will see when they subscribe for your free level by entering it into the Form Label setting. 9. 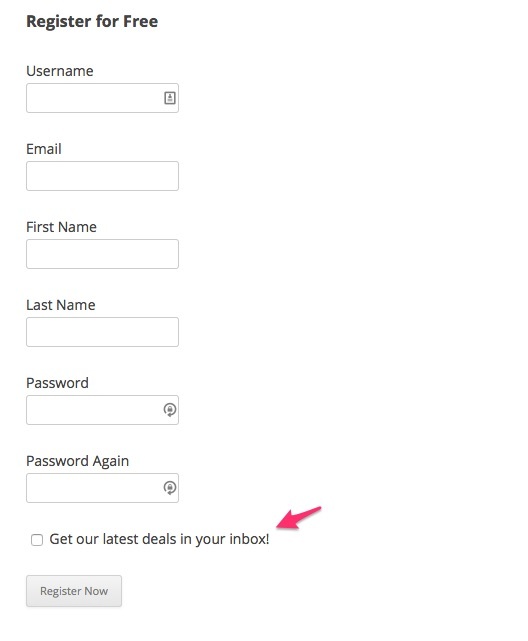 You can enable Double Opt-In for all MailChimp subscriptions by checking the box for Double Opt-in. A double opt-in signup helps verify that you have permission to send mail to a subscriber. The user will receive an email that confirms their MailChimp subscription before they are added to the list.